City Lash Eyelash, Eyebrow Enhancer: What You Need To Know? Eyelash enhancement products are currently one of the hottest trends in beauty. Obviously, this is because of its sizeable effect in making a woman more attractive. There are several eyelash enhancement options today like false eyelashes, extensions, eyelash growth serums and special mascaras. Because of the fact that false eyelashes and extensions involve the use of glue, they can damage your natural lashes and cause many of them to fall out. Mascara-type eyelash enhancers usually offer temporary results only which disappears once you wash your face. Eyelash growth serums are great products although they take much longer to work. However, this option is the only one that offers permanent results. In this article, we will be reviewing an eyelash growth serum to check if it works and if it is a good product worth buying. The product to be examined is from a company called City Cosmetics. They initially offered a lip plumping product called City Lips but now offer a wide range of skincare and cosmetic products including our subject which is City Lash. It is designed to promote the growth of eyelashes while strengthening allowing them to grow longer and thicker. pentapeptide-17 which is said to be a clinically proven ingredient that offers significant eyelash growth. It claims to offer around 54 % to 72% increase in lash line. It uses a high concentration of the proven ingredient for the fastest results possible without compromising the strength of the lashes so they don’t fall off prematurely. The eyelash enhancer is offered with a money back guarantee which is one of its best features. The only active ingredient mentioned on the product’s website is Myristoyl pentapeptide-17 which stimulates eyelash growth and extends its natural life cycle to allow them to grow longer before falling off. The other ingredients are Water, Disodium Phosphate, Glycosaminoglycans, Milk Protein, Camellia Sinensis Leaf Extract,Panthenyl Ethyl Ether, Hyaluraonic Acid, Linolenic Acid,Sodium Phosphate,Hydrolyzed Soy Protein, Sorbitol, Tocopherol, TriticumVulgare (Wheat) Germ Oil, Glycerin,Simmondsia Chinensis (Jojoba) Seed Oil, Boric Acid, Sodium Chloride,Linoleic Acid, Sodium Borate,Acetyl Cysteine, Panthenol, Acetyl Methionine, Inositol,HydroxypropylBis-Hydroxyethylmonium Chloride, Lactose, Sodium Citrate, Butylene Glycol, Sclerotium Gum, Xanthan Gum, Acetamide MEA, Ethylhexylglycerin, Hexylene Glycol,Caprylyl Glycol, Chlorphenesin, Alcohol Denatured., Disodium EDTA. For best results, apply City Lash twice a day after cleansing your face or taking a shower. Dry the base of your upper eyelashes before applying the formula. After applying, allow it to dry for several minutes then makeup can be applied. Do not apply on the lower eyelashes or allow the formula to come into contact with other areas of the skin. Avoid getting into the eyes to prevent eye irritation. It uses a clinically proven ingredient. It is offered with a 60-day money back guarantee. There are some good reviews on the product from people who have tried it. It is fragrance-free and doesn’t contain parabens. It can also be used on the eyebrows. There is no clinical evidence that the formula is really effective or completely safe. Only one active ingredient is mentioned on the product’s website. It claims to be a natural product but contains several chemicals. It is very expensive ($79.99 per tube container). There are many negative reviews saying it doesn’t work. 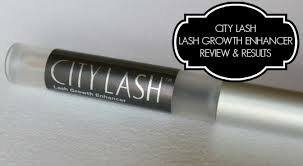 City Lash stimulates the natural growth of eyelashes while also extending their natural life cycle. This allows lashes to grow longer without falling out. It also strengthens the eyelashes making them thicker and stronger. This makes the lashes less likely to become damaged and prevents breakage. Avoid getting the formula into your eyes. If this happens, wash immediately with water. If you have very sensitive skin, consult your skin care professional before use. Perform skin testing to check for any allergic reaction before using the eyelash enhancer. In case of any side effect, wash with water and discontinue use. After thoroughly inspecting City Lash including its formulation and the customer feedback on the eyelash enhancer, it is not a very good product. There are mixed reviews from people who have tried it but most people say it isn’t really very effective. However, it is still a product worth trying mostly because it comes with a money back guarantee. On the other hand, it is very expensive and there are many similar formulations being sold at a much lower price.